You are here: Home / Holidays / Easter / An Avocado A Day . 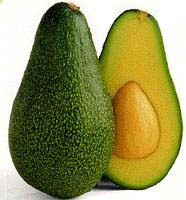 . .
An Avocado A Day . . .
Photo courtesy of the USDA. I’m not planning to bore you with a daily play-by-play of my meals. But in the interest of accountability, I thought I’d share a bit with you. Hopefully as we get further into Lent there’ll be some great new recipes I can share! I had my usual Avocado Egg Toast for breakfast. Yes, I am dull. Yes, I really do eat this almost every day. It works for me. For lunch, leftover cheesy grits with Swiss chard and leeks, and minestrone for dinner. Normally I would use chicken stock for the minestrone, today I used juice from the tomatoes and water and it turned out just fine. As with most soups, it was easy to make a ton of minestrone. Probably more than we’ll ever eat, so I’ll freeze some for a night when there’s just no time. I don’t use a recipe so if you want to make some here’s a recipe that’s similar to how I make it. It’s a great, easy soup. Feel free to put in or take out anything you want. I refuse to go to the grocery store on the weekend. It’s crazy town in there. When I went today I had a general idea of what we’d need for the weekend. Here’s what we’re planning to eat. Friday night – I will probably end up eating alone, but I thawed a spinach lasagna that I had tucked away in the freezer. It’ll be good for me when I’m ready to eat and will hold til the husband-like-person returns. This is the recipe I use. Saturday – Leftovers will work for lunch time. Since the weather is supposed to be better we might head to a local winery and take a picnic. We often have a cheese plate for dinner when it’s just the grown-ups, so wine and cheese will do fine for us Saturday evening. I bought some new cheeses to try. If they work out I’ll share the names with you. I’m also planning to make this tasty Greek pasta salad from a recent Joy the Baker post to eat for lunch next week. Sunday – I’m super excited to try this new recipe for Stuck Pot Rice from Smitten Kitchen. As a young child I lived in Stuttgart, Arkansas, the Rice and Duck Capital of the World. I am not making this up. In that part of Arkansas you eat rice. You LOOOOOVE rice. There are entire cookbooks and festivals devoted to rice. It’s what keeps the town alive. Well, that and duck hunting. Rice immersion worked for me. I loooooove rice. White rice. (Yeah, yeah, yeah, I know the brown stuff is better. That’s not the point.) So any time I see a recipe involving rice I’m down with it. I’ve spent years learning the art of making lovely rice without burning it. The point of this recipe is to kind of burn it. We’ll see if I can hang. What’s on your weekend menu? Fun, food, both? Do you have weekend food? Check out where I started here and by using the hashtag #40dayvegetarian! Also, check out my 3oclockproject! You might also like 3191 miles apart.